It has come to our attention that Skechers USA Inc. has filed a lawsuit alleging that a certain footwear style sold by rival Steven Madden Ltd. infringes patents for the company's walking-shoe line and other products. Manhattan Beach, Calif.-based Skechers is seeking an injunction against footwear from the Steven by Steve Madden Line under the style name Setta. Skechers also is seeking compensatory and punitive damages in the suit, though further financial details weren't provided. 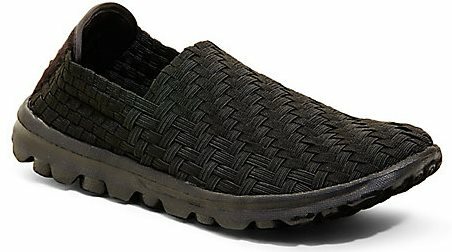 Skechers has apparently argued that Madden’s Setta style, which has a woven elastic upper and molded rubber bottom, directly infringes on seven patents owned by Skechers that are used in its Go Walk collection. For those of you that have been paying close attention to the footwear industry, you know that this is the first time the two brands have gone to court. The most recent case in 2011, Skechers sued Madden for infringing on its patented Twinkle Toes line. It is our understanding that the previous case was settled out of court. Honesty, we are not sure which company is in the right and which in the wrong at this time. Let's allow the courts to decide on that issue. More important than the legal issues, have you had a chance to check out the Skechers Sport shoe collection for women. If not, you really should.